The other day someone from Central Office was inquiring as to how to "unshare" sensitive documents she had shared with staff members throughout the school year. She was doing a little Google Doc Spring cleaning. The bad news is she will need to go into each document and manually delete the collaborator. However, the good news is this process will be much easier next year. 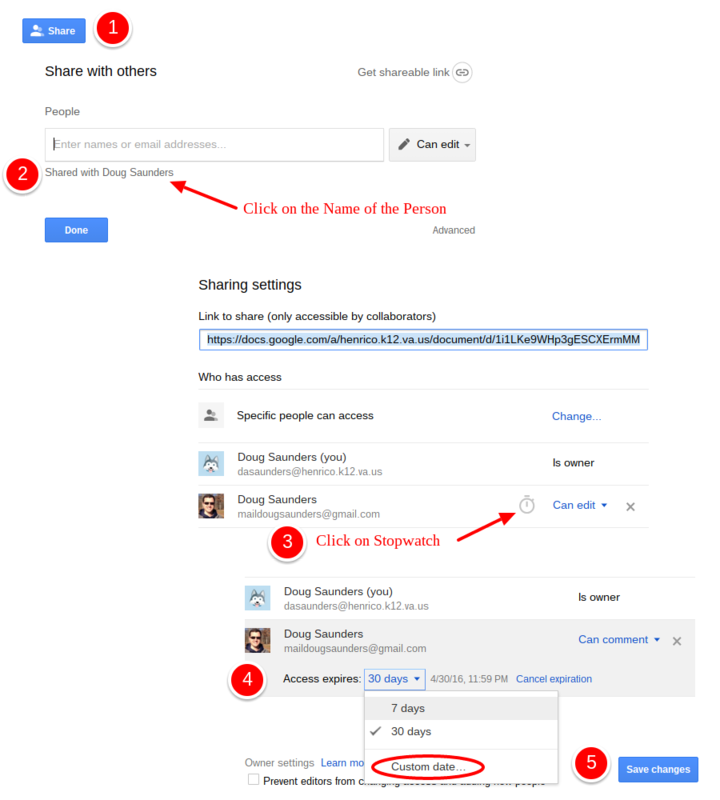 Google Apps now gives you the option to set an expiration date with the people whom you share documents. By default, you can choose 7 days, 30 days, or choose a custom date.